Jay Balmer & Ben Jones have known each other for 24 years and been a DJ duo for 10 years. In 2004 they started Fragile together and things have grown massively since then! Althought Jay & Ben regularly play individually it is their legendary back to back sets that resulted in them gaining a bi-monthly residency at the famous Manchester club Sankeys, and being invited to DJ at the Toolroom Knights album launch party at Ministry Of Sound in London! Jay and Ben have also been booked to play at the incredible Cream Fields festival this year. Between them they have appeared in numerous venues across the North West including Sankeys (Manchester), Club North (Manchester), Nation (home of Cream, Liverpool), Garlands (Liverpool), GBar (Liverpool), The Venue (Isle of Man), Naked (Staley Bridge), Pure (Manchester), Arrogance (Liverpool), Jealous (New Brighton), House Proud @ The Cotton Club (Liverpool), The Boutique (Liverpool), Ministry of Sound’s Housexy, Gatecrasher Classics, Twisted Elegance, Hed Kandi and Fierce Angel. 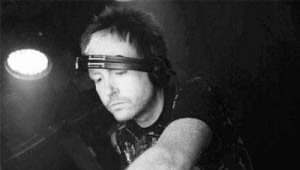 Jay and Ben have DJ’d at events alongside many international DJs including D Ramirez, Mark Knight, Sebasien Leger, Brandon Block, Judge Jules, Tom Novy, Wally Lopez, Funkagenda, Tall Paul, Paul Harris, and Richard Dinsdale and now hold residencies at two of Liverpool’s most prestigious and exclusive venues Society and Chaya. Jay and Ben’s own event “Fragile�? has taken the North West club scene by storm regularly attracting lock out crowds and attracting guests such as Jon Fitz, Jason Herd and legendary diva Angie Brown. Now into its 5th year Fragile still creates a unique atmosphere and attracts a fantastic crowd every month.